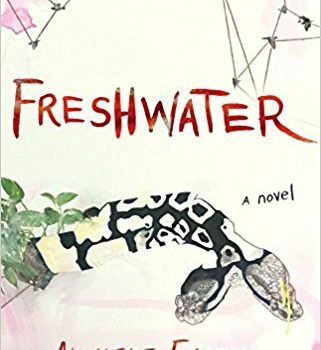 Freshwater, Akwaeke Emezi (Grove Press 978-0802127358, $24.00, 229pp, hc) February 2018. 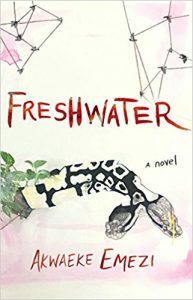 Akwaeke Emezi’s debut novel Freshwater is a book that refuses to be pigeon-holed into a literary or genre category. The back-cover copy, with its talk of alternate selves and splintered personalities, suggests the story of a young woman struggling with a dissociative identity disorder. However, the opening chapter’s account of spirits possessing the body of an infant bears all the hallmarks of the supernatural. Neither style accurately captures the essence of the novel. 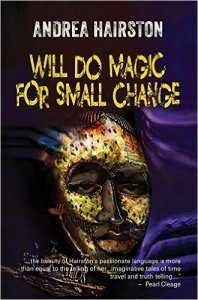 In a move that’s bold and challenging, Emezi roots Freshwater in the spiritual traditions of the Igbo people. Through that lens, she tells an emotion­ally charged and often traumatic story of gender identity and selfhood. Initially, this friction between the flesh and the spirit is expressed as temper tantrums during Ada’s infancy and “moody troublemaking” as she grows older. When Ada witnesses her sister, Anuli, get hit by a pickup truck, and the awful aftermath that involves Anuli losing both her legs, the voices become louder, only silenced through self-harm, the drawing of blood. Trauma is also the catalyst for the birth of Asughara, a dominant, dangerous, chaotic personality that emerges when Ada, now a 17-year-old living in America, falls into a possessive and abusive relationship with a young man named Soren. 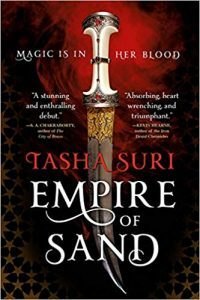 The arrival of Asughara shifts the tone of the novel; its insatiable appetite and desire to manipulate men, not all of whom are as awful as Soren, almost entirely subsumes Ada’s sense of self. In January 2018, Emezi wrote a graphic, power­ful and revealing essay in the online magazine The Cut (“Transition”) where she discusses her gender fluidity, and the painful and expensive surgeries she’s undergone as part of a gradual transition toward her true identity – neither exclusively feminine nor masculine. In the piece, Emezi links her gender dys­phoria with the possibility she might be ogbange; that existing between two genders is similar to having a foot in the spiritual and corporeal world. That’s not to say Emezi only considers the ogbange as a helpful analogue for identifying as non-binary; instead she explains that in coming to terms with her gender she also saw the validity of non-Western religious beliefs. In other words, the ogbange of Freshwater is not a metaphor for mental illness or a super­natural force; it’s a core aspect of Emezi and Ada’s Igbo heritage and spirituality. I found this attitude challenging; initially it was difficult for me to view the voices in Ada’s head as anything other than the psychological symptoms of trauma. And yet, by the end of the novel, I was willing to suspend judgement. I was ready to acknowledge, on face value, Ada’s relationship with the ogbange, the fact that she and the spirit are one and the same. I [Asughara] was a child of trauma; my birth was on top of a scream and I was baptized in blood. By the time Ada brought me to Georgia, I was ready to consume everything I touched. Freshwater is a novel that makes demands on the reader. It asks that we confront our views on mental health, on gender, on mysticism and the belief in spirits and gods. It’s also a frequently shocking book, involving scenes of self-harm and sexual abuse. But, as Ada tells us, “it hurts to be in the spaces between freedom” and ultimately she finds solace, peace, and comfort in her transition from one reality to another.